Make sure your lawn renovation quotes are apples to apples by reading how the lawn will be left upon completion. The number one reason seed doesn’t germinate successfully is due to improper watering. Straw is an inexpensive option to cover the new seed. However the problem with straw is that it contains “weed seeds” which will inevitably grow in your new lawn! It’s also unattractive for weeks if not months until the grass is established. If you do not want weed seeds in your lawn, another popular option is to apply seed starter mulch. This material is basically recycled newspaper. When water touches it, it expands to cover more surface area and holding in water until the grass needs it. 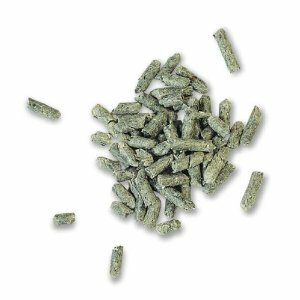 It also assists in keeping birds from treating your new lawn as bird seed! Another premier service is lawn composting designed for eco-friendly property owners who want the greenest lawn! It is a process that incorporates a thin layer of rich, earthy, organic material to your existing lawn. This material, called compost, is the end product of a complex feeding pattern involving hundreds of different organisms, including bacteria, fungi, worms, and insects. What remains after these organisms break down organic materials is the rich, earthy substance that gardeners value so highly as a soil improvement. There are many reasons why you should add compost to your lawn including water conservation, weed prevention, disease prevention, soil amendment, and natural growth enhancement. Prior to aerating all obstacles need to be properly flagged to avoid damages. Dowco offers irrigation flagging and invisible fence flagging services. The vast majority of the time underground utilities are not required to be marked. When you invest a lot of money into your lawn, it’s great to know that you’re in good hands. At Dowco, we come back within 30 days of your initial seeding to spot seed any bare or trouble areas for no charge at all. We do this to ensure our client’s satisfaction and to double check our work. We’ll also spray any grass that germinated accidentally in mulch beds. 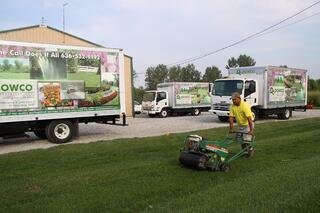 Shortly, we will be opening up our lawn aeration and overseeding schedule to clients who are already setup for it. Dowco is one of the only companies in the greater St. Louis area that offers online scheduling for nearly all of our lawn and landscaping services!